When someone mentions a “knife fight” the image conjured is often that iconic scene from West Side Story, or heavily choreographed fights from more recent movies like The Hunted starring Benicio Del Toro and Tommy Lee Jones. As with most things Hollywood, reality is far different from what is portrayed on the screen. Most people will never be in a knife fight. Even the term “knife fight” is, well, wrong. A more accurate description might be “knife dueling” because, let’s be honest, if an assailant only has a knife your best bet, and first choice, should probably be to run. 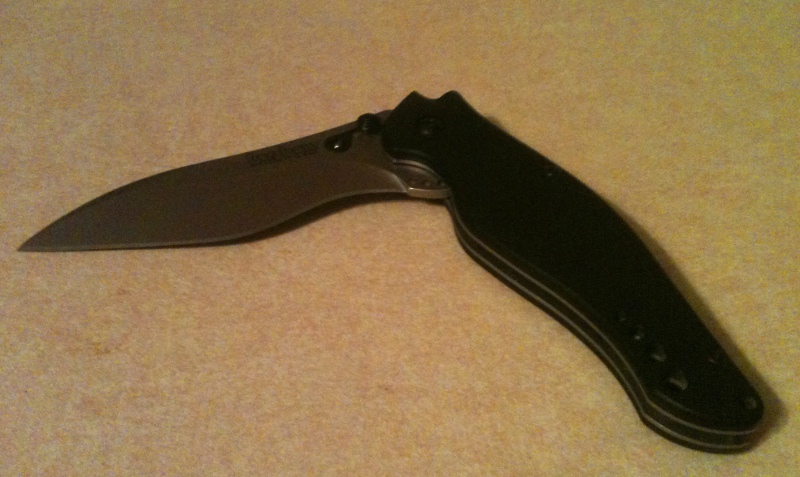 The Gerber Guardian is an example of the type of knife used in military combat. The easiest way to survive a situation like that is to not be there. If you voluntarily engage someone using a knife of your own, you’d better be very sure of your legal position lest “self-defense” become manslaughter or even murder. Knives play a role in self-defense, although the times and situations in which one can be deployed both effectively and legally are few and far between. For the sake of argument, let’s say that you find yourself in a dire situation with no escape and only a knife to defend yourself. What then? Having it when you really need it is a key point. 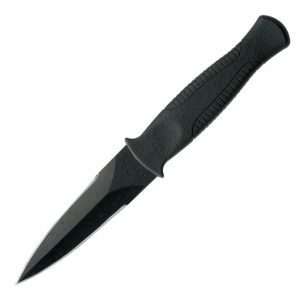 Many law enforcement officers, military, and armed citizens carry a knife of some sort as a back-up weapon. The types of blades that are suitable vary based on the environment and role. An armed citizen may carry a folding lock-blade, while a law enforcement officer employs an assisted opening knife, and an infantry-man a dagger or bayonet. Each style of knife has its own advantages and drawbacks. Folding knives can be easily concealed in a pocket. Some come with belt clips for easier deployment, and high-end models are adjustable so that the blade can be carried point up or point down. Assisted-opening knives with a clip are the fastest folders you can carry, but they are illegal in some jurisdictions. Various styles of martial arts lend themselves to combat using edged weapons. The Filipino arts of escrima, arnis, and kali are most notable. Kane recommends some form of RBSD (reality based self-defense) from an instructor who can impart context as well as technique. Regular scenario-based training can help hone your skills and various drills can ingrain muscle-memory. One thing nobody tells you about the use of a blade in a violent confrontation is just how intimate it is. Unlike a firearm where the engagement distance usually measures between one and seven meters, blades are deployed at “bad-breath distance” well within an arm’s length. One of my contacts for this article told me of a time he killed a sentry from behind in Vietnam. Obviously the use of a blade is deadly-force and should you make the decision to use one in a violent conflict you must be prepared for the full weight of the consequences, both legal and mental. These days I regularly carry a Kershaw G10 Speedbump, although in the past I’ve also carried a Gerber 22-47162 Fast Draw and a Camillus Blaze. I’ve never used one in self-defense. My blades spend their time opening stubborn plastic and cardboard packages. Whether or not you should carry one for self-defense is a personal choice, and always consult your local laws before making the decision to carry any potential weapon. The lowly pocket knife is probably one of the most useful tools any member of Homo sapiens can have. Our earliest fossil records of primitive humans show evidence of their us of sharpened rocks and bones for cutting. Flaked flint, obsidian, and other stones made fine slicing instruments, but as technology advanced we began to use bronze, iron, and eventually modern steel to create our blades. Ever since Og first noticed that his handy sharpened piece of bone didn’t flay deer the way it once did, one common problem plagued all users of blades, and that is the maintenance of a well honed edge. 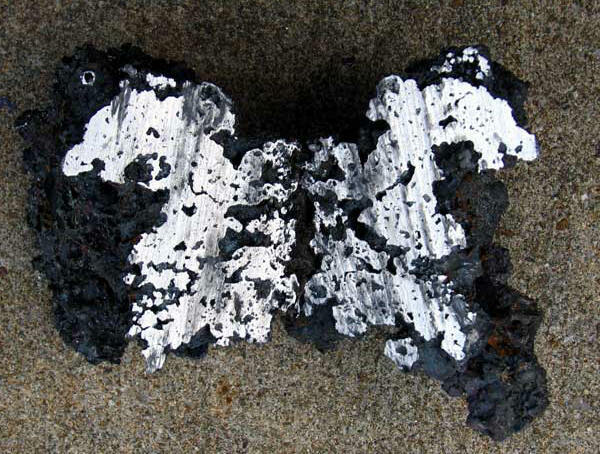 Older materials dulled quickly and easily, leading to an arms race in which materials science gave the edge to whoever could create a metallurgically superior blade. Modern science has given us high carbon steel, ceramic materials, and even high strength plastics with which to craft our cutting instruments. Some of these materials such as ceramics are designed to never dull, and in that they excel, but they are brittle by comparison to modern steel which is more common by far. So how does one maintain the common steel blade? Most steel blades come from the factory with a perfectly honed edge. If you have a brand new knife that seems to cut just fine, rule #1 is don’t @#$! with it! After some use, your knife may need to be honed, but unless you’ve damaged the blade it likely does not need to be sharpened. Honing and sharpening are two different things. Honing realigns the blade where the thinnest part may have curled or folded slightly, and polishes it too. Sharpening actually removes material from the metal and can change the bevel itself. To maintain a good edge, you should hone regularly using a honing steel or a strop and a bit of polish. Leave sharpening for when a blade is well and truly dulled, chipped, or otherwise damaged. You can only sharpen a blade so many times before it becomes too thin for practical use. On the other hand, you can and should hone a blade regularly. 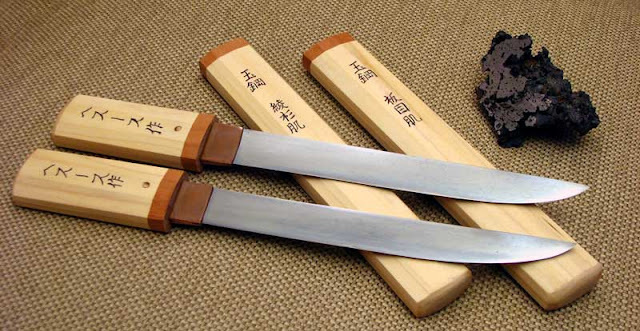 To hone your blade, you can use a honing oil stone, a steel, or a strop. The methods for honing vary for each of these methods, but we’ll touch on each of them. Honing Steel Many people have this mystery device stuck in the knife block in their kitchen. It’s a common accessory included in kitchen knife sets, but the proper use of it remains elusive. Start by holding the steel in your fist, with the steel portion pointing down as in a stabbing grip. Place the tip of the steel on a solid surface such as a counter top (use a towel or cutting board if you have nice granite or other surface to avoid marring it). Now you’ve got a pillar of steel against which to draw your blade. With your other hand holding the knife angled away from the steel at about a 22.5 degree angle (the most common angle for knife bevels, though yours may vary) pull the knife toward you (handle first) while at the same time sliding it down the steel. The motion should be smooth and fluid, starting with the hilt of the knife up near the hilt of the steel, and then sliding down the steel and the knife to the tips. Fine – here’s a nifty video that demonstrates exactly how to use a honing steel. Honing With An Oil Stone Honing with an oil stone is done using much the same method as sharpening on a whetstone, but the stone used is very very fine (usually 1,000 grit or more) and does not remove much material at all. Make sure your stone is liberally oiled using a light mineral oil and establish your blade angle (again, 22.5 degrees is the most common. Use a blade guide necessary) and push the blade away from you as if slicing a thin layer off the top of the stone. Then flip the knife over and repeat the process, pulling the knife blade first (carefully) towards you. If your blade is curved, as many are, you will have to follow the curve as you draw the blade while maintaining the same angle. This takes a bit of practice, so don’t start out trying this on the wife’s nice cutlery. Polishing Wheels The final method is to use a felt wheel with a bit of polishing compound. This can be easier to maintain an angle for many beginners, but the danger is in the wheel itself polishing too much, or worse grabbing the blade and flinging it out of your hands, so be careful and wear personal protective equipment when using power tools. First, make sure the direction of the wheel is set so that the top of the wheel is spinning away from you. If it does grab the knife from your hands we want it flung into the wall of your shop or garage, not into your chest. Safety first and all. Second, apply a bit of compound (I like a 327 Tripoli for knives) and establish your blade angle. The blade angle can be a bit tricky to figure, but look at the side of your buffing wheel like the face of a compass (360 degrees in a circle, right?) and measure the 22.5 degrees from the top of the wheel. This is where you’ll hold the blade. Use a light touch, and don’t forget to get both sides. In future articles, I’ll go into more detail on honing with a leather strop, and sharpening blades when they’ve been damaged. Rust is probably the number one enemy of rod and reel, knife, and gun owners. In just a few short weeks, unprotected firearms left alone in even a moderately humid environment will begin to grow an orange or brown colored 5-o’clock shadow. Steel pistols carried concealed during the hot summer months are even more susceptible to rust as corrosive sweat and oils from the wearer encourage rapid rust formation. Fishing reels that are not cleaned and rinsed on a regular basis, especially saltwater rigs, will quickly oxidize to the point that they lock-up completely. Most owners of fishing, hunting, and shooting equipment know that their gear requires thorough cleaning and oiling after each use, but even clean and oiled if left alone, unprotected, for months at a time in a garage, closet, attic, or gun safe your expensive gear can quickly become ruined, even permanently damaged beyond repair. When opened, this little pack of dessicant is able to dehumidify up to 3 cubic feet of storage space. The key to keeping the rust bug away, in addition to keeping your gear well oiled, is to keep the ambient humidity down as low as possible. There are a number of ways to do this, such as a GoldenRod or other electrically powered dehumidifier, but the cheapest and most portable is the lowly pouch of silica gel. Online retailer Lucky Gunner sent me a sample of Dry-Packs reusable silica gel for review not too long ago. The problem with reviewing desiccants such as this is that you either need a very long time, or a high humidity level, to see how well they work. North Texas isn’t a region well known for its particularly high humidity, though compared to areas located in mountainous ares out west, the ambient 50%-60% RH (relative humidity) is sufficient for a test spanning a month or so. The Dry-Packs silica gel canister holds about 40 grams of desiccant in a perforated metal box about the size of an Altoids tin. 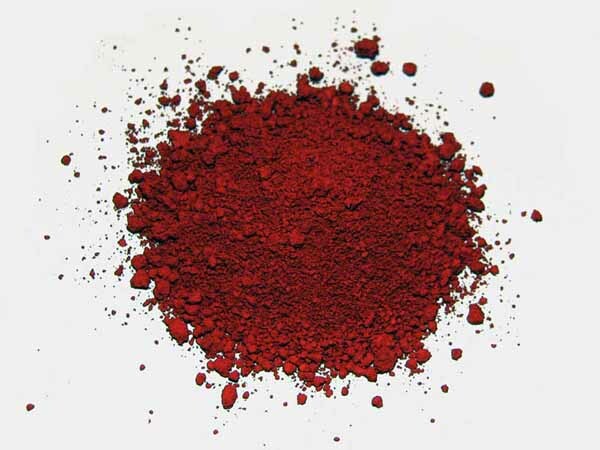 In the center of the can is a small window that can be used to observe the color of the silica gel. This particular type of desiccant has had methyl violet added to it, an indicator that turns from orange to green when it is hydrated. Other brands use cobalt chloride or ammonium tetrachlorocobaltate (try saying that five times fast) and turn from blue to pink when they have absorbed enough moisture to become saturated. Little cans of desiccant such as this are small enough to keep in a gun case, tackle box, first-aid, or survival kit, and are cheap insurance to make sure that humidity and moisture don’t ruin your gear. 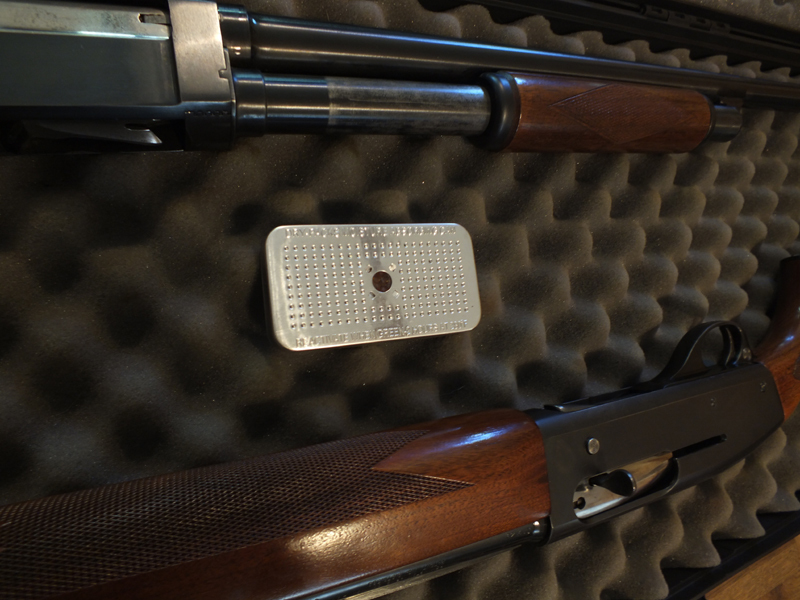 To test the effectiveness of this particular brand, we placed it in a long-gun case along with two older shotguns that I’d recently inherited. These particular shotguns had been stored in soft cases, tucked away in a late family member’s closet for a number of years with no cleaning or maintenance. When they came to me, one of them was so corroded and damaged that the action had completely locked up. I took them to one of my local gunsmiths and had them completely disassembled, detailed, and put back together. All of the surface rust was completely removed, and the few parts that had pitting were replaced. Now restored to clean and working order, well oiled and rubbed down with a silicon impregnated cloth, the shotguns were ready to go back in the closet. Inside the case, I placed the little metal can. There, until some time in late January when the light-geese conservation order begins, it will stay and quietly do its job sucking moisture from the air while keeping my precious scatter-guns dry and rust free. Once the little rust-killing can has sucked up all the moisture it can, I can simply toss it in the oven at 250-280 degrees Fahrenheit for a few hours and watch in amazement as the indicator turns from green back to orange once all the water has been baked out. Priced at only $10 each, these little canisters are fantastic insurance to keep your equipment dry and rust free. FTC disclaimer: I didn’t get paid a damn thing to write this, but they did send me the desiccant, unsolicited, for free. That was nice of them. …and forge it into something like this! This guy crafted a steel tatara beginning with nothing more than a handful of red clay powder, a forge, and a bit of ingenuity. I love projects like this. While it is not strictly bushcraft, the concept of beginning with ore mined from the earth and refining it into steel before forging a high quality blade is true in spirit. True, some additional tools and modern equipment are incredibly useful when undertaking such an endeavor, but almost every step performed could be duplicated with only the use of primitive tools and materials.